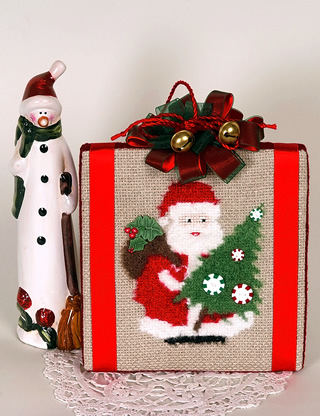 The original model has been stitched with Furtastitch 100% Nylon thread, made by Italyarns, Italy, www.italyarns.com. This is a new tridimensional thread for cross-stitching giving a furry appearance to the stitched design. Furtastitch threads are washable in cold water and can be “combed” with the needle after stitching to raise the hair and give a furrier appearance!